CAW provides comprehensive electro-mechanical solutions in one fully integrated super facility in Cape Town. 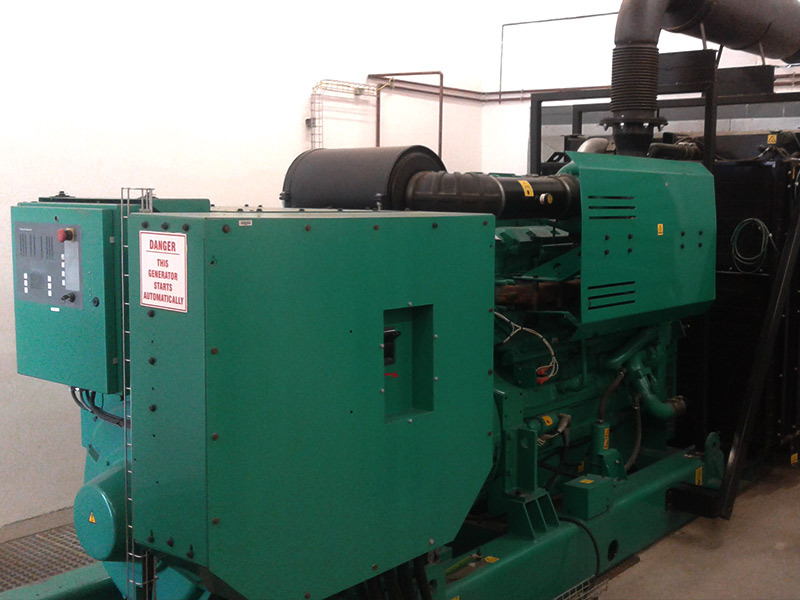 With 3000m2 floor space, it is the newest and largest of its kind in the Western Cape and is fully equipped to maintain, repair and sell a wide range of large motors, pumps and generators in-house and on site. The contract with the Department of Defence comes after a successful four years with CAW, in which it will arrange and complete all of the electrical repairs for the valour class SA Navy frigates based across South African shores and in Cape Town and Durban ports. Our dedicated field service teams are at your site whenever you need us, working for you around the clock. Dedicated to ensuring fast turnaround and high quality field service. Tracing our roots back to the 1970’s, Cape Armature Winders is both family owned and operated ensuring not only that we have a deep understanding of every aspect of the business but also that we understand and value our clients’ business no matter the size of the project. CAW offers the complete solution, with all services performed in-house on our 3,000 m2 super facility. Cape Armature Winders, now CAW, was established more than forty years ago and has built up a reputation as one of the premier service providers of electrical and mechanical repairs to AC and DC motors, alternators, pumps and generators in South Africa. Take a closer look at our repairs, rewinds, field service capabilities and services. With CAW’s engineering industry-specific knowledge and experience, our customers can count on our ability to provide engineering solutions when mechanical problems arise. Our fully equipped workshop offers general and precision engineering, metal spraying and reclamation where we repair shafts, bearing journals, and bearing bores. We continuously strive to offer the most efficient electrical services in the Western Cape, providing all our customers with quality of product and reliability of service. We believe in honor and commitment to our customers and pride ourselves on the ability to complete projects on time. CAW offers a state-of-the-art submersible pump and motor sets testing and repair facility. We provide our customers with accurate and precise submersible pump and motor set performance information, using sophisticated testing procedures compliant with International Standards. CAW’s rail workshop is a complete repair facility specializing in the repair, overhaul, and rewinding of traction motors, generators, alternators and related equipment used in the rail industry. We work closely with our rail industry customers, guaranteeing 24-hour service from highly qualified and experienced staff. “There is no way to explain the appreciation for all the efforts and sacrifices made by your guys in order to get my machine running. The positive attitude, even in under the most difficult circumstances was highly appreciated, and will certainly be recognised for the relationship we will have in the years to come. CAW repairs a 26 ton dredge motor used during diamond mining off the Namibian coast. 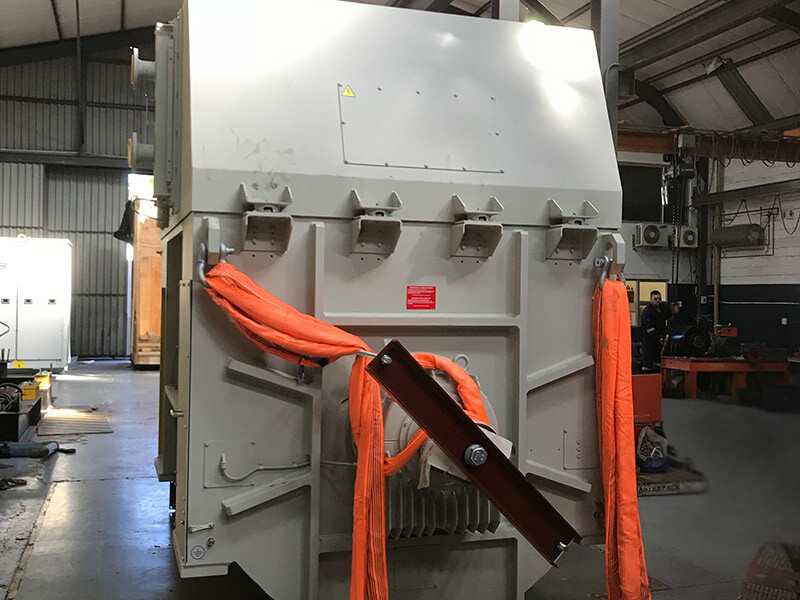 CAW completed the repair to a 620kw electric motor for Chevron, during one of its biggest routine maintenance and safety inspection projects. After more than forty years in operation, we have established an excellent reputation as specialists in the electrical and mechanical repair of AC and DC motors, alternators and generators. We have consistently served the mining, marine, industrial, steel, petrochemical industries, and parastatals for four decades, with high focus on the quality of our work, employing highly skilled staff, and striving to offer the best facilities in the Western Cape. With a full range of services for electrical rotating equipment from inspection to coil manufacture, complete rotor and stator rewinds, as well as re-manufacturing, CAW makes sure equipment on a petrochemical plant runs reliably. Rapid response and prompt turnarounds are our key strengths. 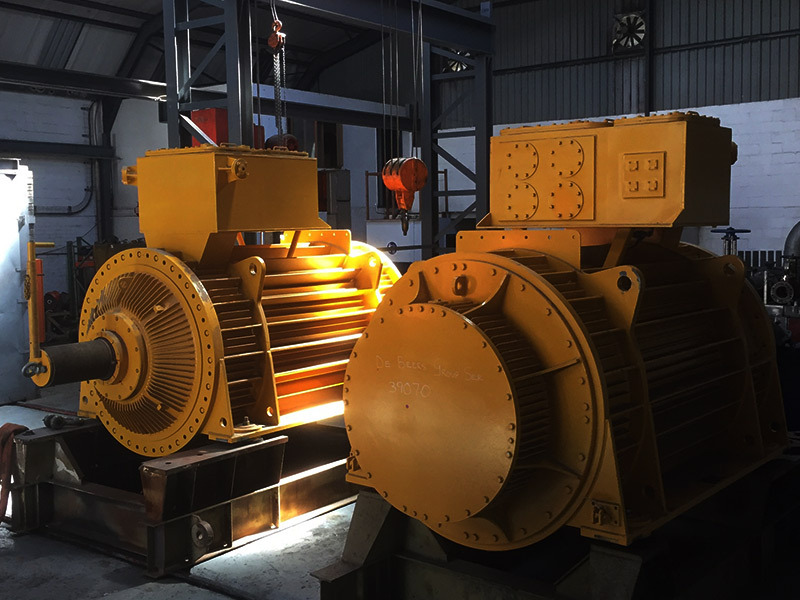 CAW specializes in repair services for rewinding and overhauling your rotating equipment for the mining industry, and are dedicated to help assist mines operate more efficiently. CAW has invested in infrastructure, equipment and skills to enable the company to repair larger, specialized motors used in the maritime industry (rigs and ships) – including the fishing, oil and gas industries. CAW offers specialist solutions for repairs and overhauling of electric motors, generators and alternators. Based in Cape Town, CAW is capable of offering a complete solution to the commercial maritime and defence industry. 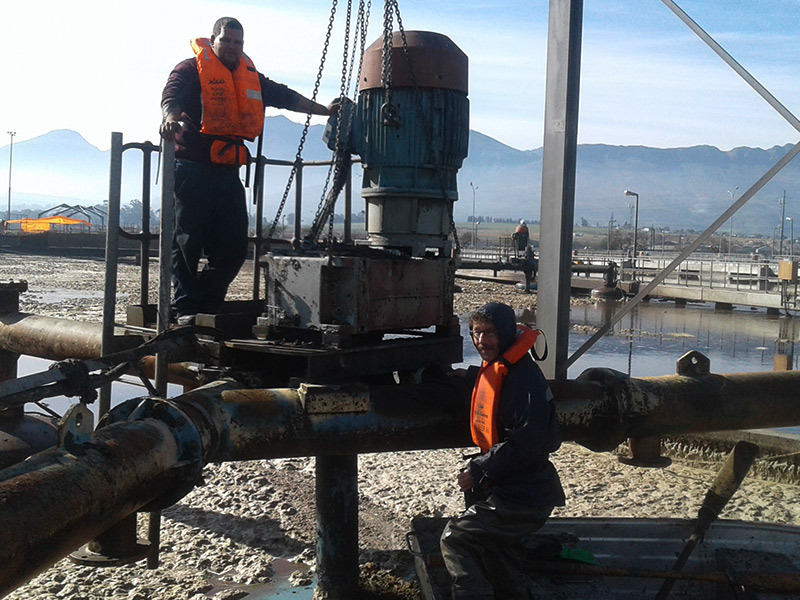 CAW specialises in the repair and refurbishment of pumps and related equipment for water production and transportation as well as wastewater collection and treatment for municipalities and industries. CAW offers full service, maintenance, and repair capabilities for AC and DC traction motors and related equipment. Rapid response and prompt turnarounds are our key strengths.